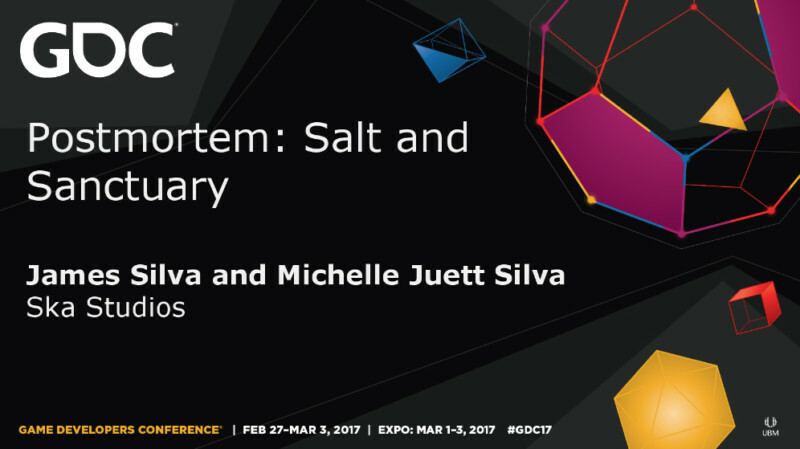 At the end of February, we traveled to San Francisco for GDC to deliver a 30 minute postmortem for Salt and Sanctuary. The talk will be available in the GDC vault, though we don’t know yet if it will be publicly available or only to attendees. It was an amazing talk with a full room, and we were really surprised and humbled by the great reception. One never knows how these things will go, and we aren’t the best of public speakers, but we still put on our presenter hats and did our best. We also posted a write-up covering most of the talk over at the PlayStation blog! Go read the postmortem over here! 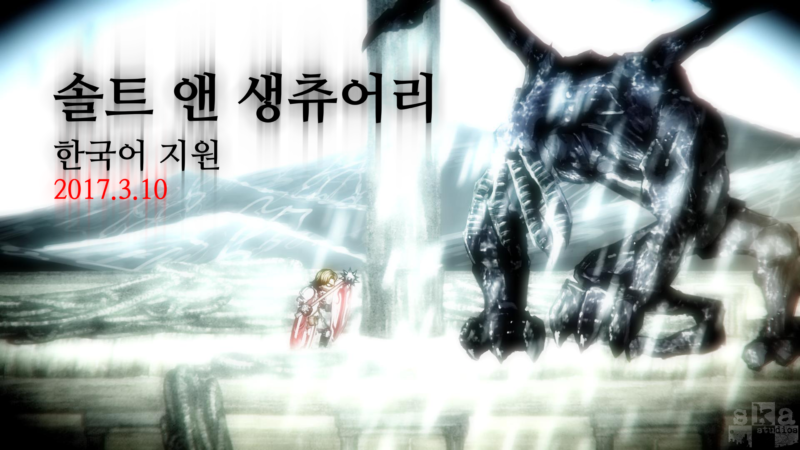 Salt and Sanctuary is now available in the Korean language! We launched on the morning of March 10th KST on Steam. You can check out some coverage already over at Inven , Ruliweb, and This is Game. 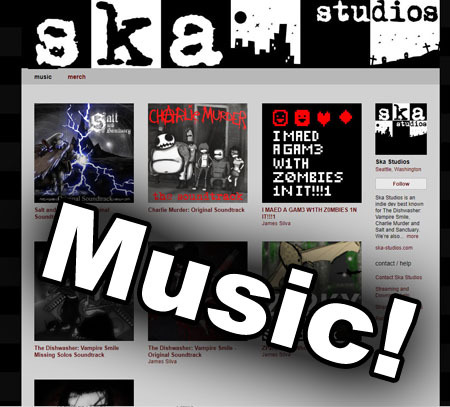 We’re also working toward Russian, Polish and finishing Simplified Chinese. Traditional Chinese may be coming as well. We’re in certification for the PSVita! We can’t get into details (there are a few, and they’re not pretty), but going live by the end of the month is looking within our grasp. Sadly, we won’t be able to hit the one year anniversary of the PlayStation 4 launch, which is coming up next Wednesday! We apologize to everyone who has been waiting so patiently. It was, for the most part, out of our hands, but we think the wait will be worth it. Your piece at the end, about wishing to stay with XNA throughout the transition from Xbox 360 to Xbox One and PS4, and Sony inviting you in, etc. I so relate! It is everything I went through too. I should stay in touch with the both of you more often! I’m going to agree with Nathaniel on this one. Even with the delay, the fact that you guys are sticking through it all and making good on your word to bring the game to the vita shows a lot of dedication where so many other indie devs made initial claims to support a vita release for their games, only to back out after realizing the effort/cost involved with doing so. I know it probably hasn’t been easy for you guys, but it’s going to pay off so well in the long run from all of the satisfied fans you guys will have gained from it, including myself. I bought it as well for my PS4 and did play it some, but am ultimately holding out now for the vita release, as this is my most anticipated vita game ever, and if you knew the game collection I had for the vita, that’s saying something. Can’t wait, and thanks again guys! I bought this on the ps4 and played a lot but this is meant for the vita. I’m waiting for the vita launch! Gahh. Super stoked for vita release. Bought it on ps4 at launch and haven’t played it yet, just to experience it on vita first. Me too ralph. I wanted to support right away but play on the vita and beat it. At that time I bought it it was the given idea it would come a month or two later, I never imagined it would more than a year! I’m totally upset by it but I completely support the dev teams who have done all they have to make it possible.